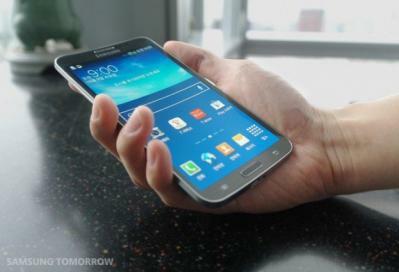 The Galaxy Round, Samsung's first flexible OLED device sports a 5.7" Full-HD (386 PPI) Super AMOLED display. It was released a few weeks ago in Korea but there were several question marks regarding this display - is it based on a plastic substrate? is it a YOUM display? is the display unbreakable? And does it make sense to have a curved display? My friend Raymond Soneira from DisplayMate managed to get hold on this phone and put it through extensive testing like he always does. In his post Raymond actually answers all this questions. 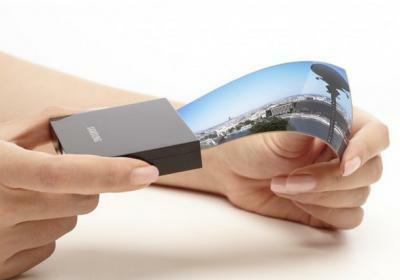 So first of all, Raymond confirms that the display is indeed a flexible OLED built on a plastic substrate. But samsung used a cover glass to protect it. This means that it is not an unbreakable display, which explains why Samsung does not brand it as a YOUM display. So this is a true curved display. But is it useful? According to Raymond, the answer is definitely yes. In fact, he says that curved screens are a "major and very important new display technology innovation, particularly for handheld Smartphones". It turns out that a concave display cuts down on reflections from ambient light. This is mostly due to the fact it magnifies the sizes of all objects it reflects, which results in less reflections and also featureless ones (read Raymond's original article to understand why). All this means that the concave display substantially improves screen readability, image contrast, color accuracy, and overall picture quality. It also means that screen brightness can be lower and so more efficient (i.e. the battery will last longer). Even though the curvature is fairly small (the left and right edges are just 2.66 mm higher than the center) - the effect is very important. Raymond also managed to get hold a sample truly flexible OLED display. This is the exact same display used in the Galaxy Round and the Note 3 (5.7" Full-HD) - but on a flexible substrate and cover. Raymond says the big advantage for him was the ability to slightly change the bending of the display to further reduce ambient light. So these displays, besides being very cool, can improve screen visibility even further than curved displays. In addition, as the display has no cover glass, reflectence is lower and the display had a matte finish which cuts down on specular mirror reflections. Finally, as there's no cover glass, the OLED display appears to be right on the surface of the screen (and not slightly below it) which is "quite visually striking!". Raymond also says that a curved phone is more comfortable to hold because the hand nicely fits the entire curved back instead of just holding it along the left and right edges. It also improves screen privacy (it is harder to look at from the side). Samsung informed Raymond that once they manage to increase production capacity, they will bring the Galaxy Round to more countries. This is in contact to other reports stating that Samsung thinks of the Galaxy Round more of a prototype and they have no plans to release it elsewhere. According to our information, Samsung Display is producing those OLEDs at their 5.5-Gen line, and the monthly capacity is about 8,000 sheets. Galaxy Nexus can also be called round, but is made on glass not plastic. we don't have proof as such. we don't have proof as such. But Samsung does refer to this display as a "flexible Super AMOLED". Also the Nexus only had curved glass but the display inside was not curved. 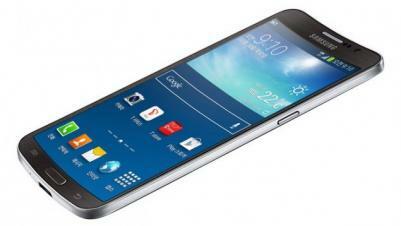 Samsung's Galaxy Round - does it really use a plastic-based flexible OLED?